Dorje Denma Ling is now in the process of expanding the pavilion so that we have space to fit simultaneous Scorpion Seal III & IV programs mid-July. We’re writing this blog to keep readers up to date on how things are moving along. We are planning to have from 250 to 275 people for Scorpion Seal III & IV in 2012. The current pavilion can only seat 185. 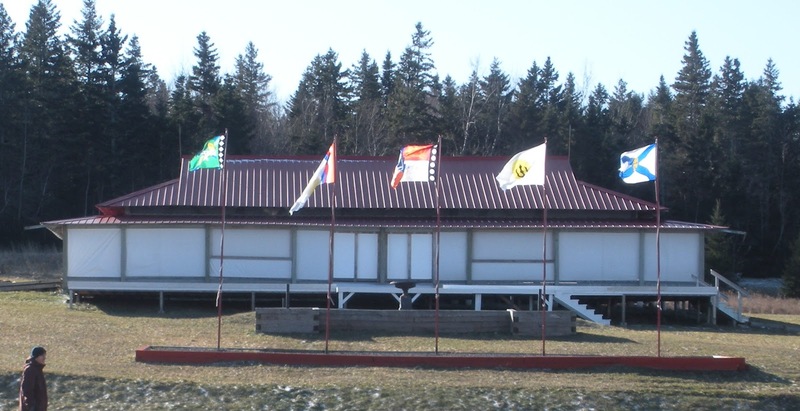 So with the help of the Dorje Denma Ling development team, we have made plans to expand the pavilion by 10 feet on three sides, which will create space for 130 additional seats. This additional space will also accommodate future growth and make the space much more comfortable for larger programs. In addition to the general expansion, we are making a few other changes. We plan to move the 2 diagonal braces that are on either side of the centre of the platform where the throne sits. This improves the space around the teacher and also make the teacher more visible for the right and left sides. We are also removing the current outer 6.5 feet of floor, levelling it, and replacing the treated decking with hemlock decking purchased from the mill that is nearby. 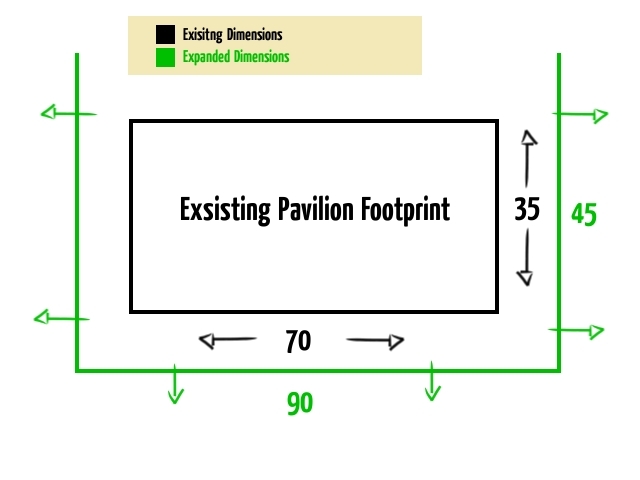 This expansion plan also means that we have to move the big white deck that supports the PMH/food service tent for Scorpion Seal 10 feet. I’ll take some pictures and let you know more about that in the next post.